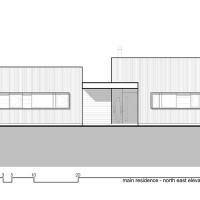 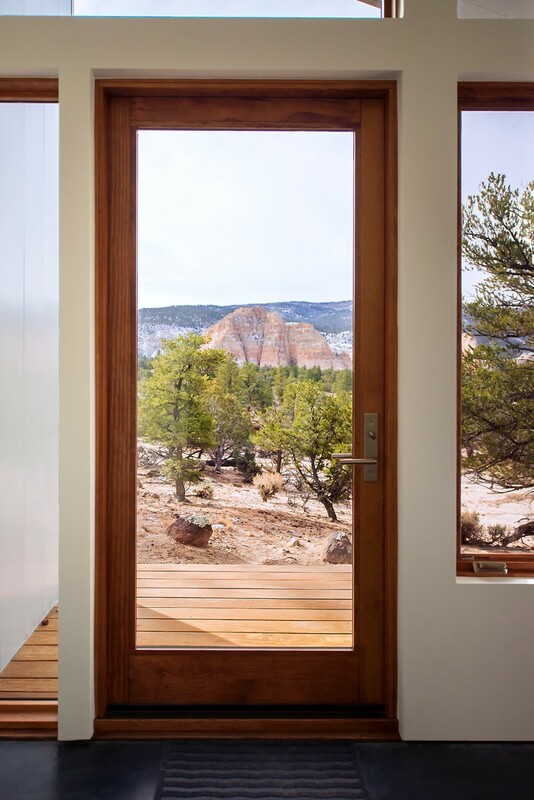 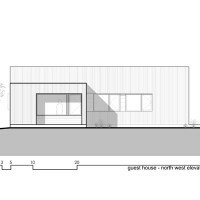 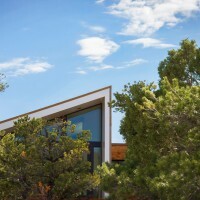 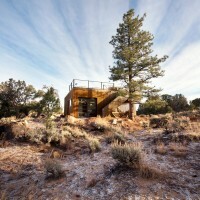 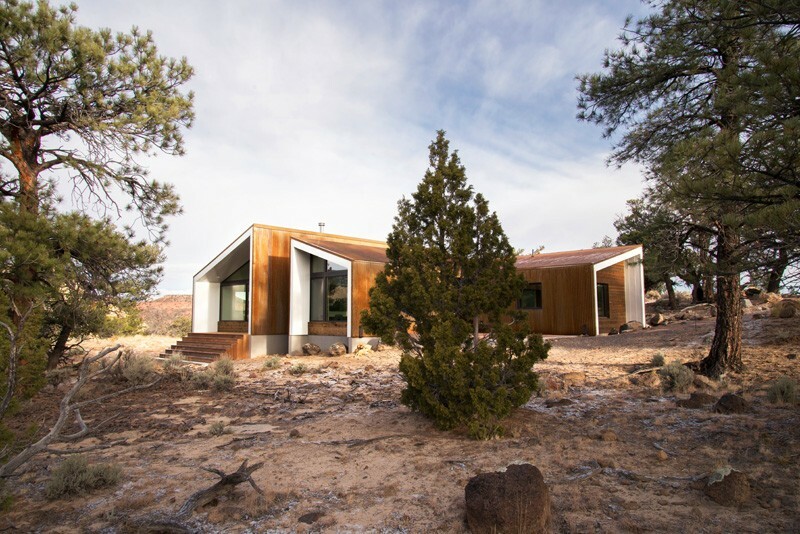 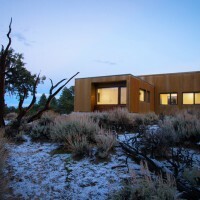 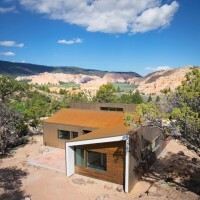 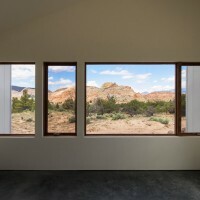 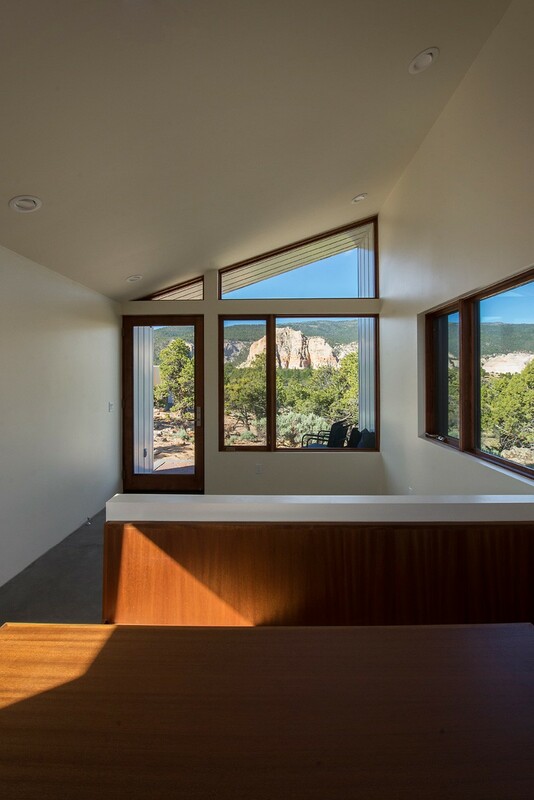 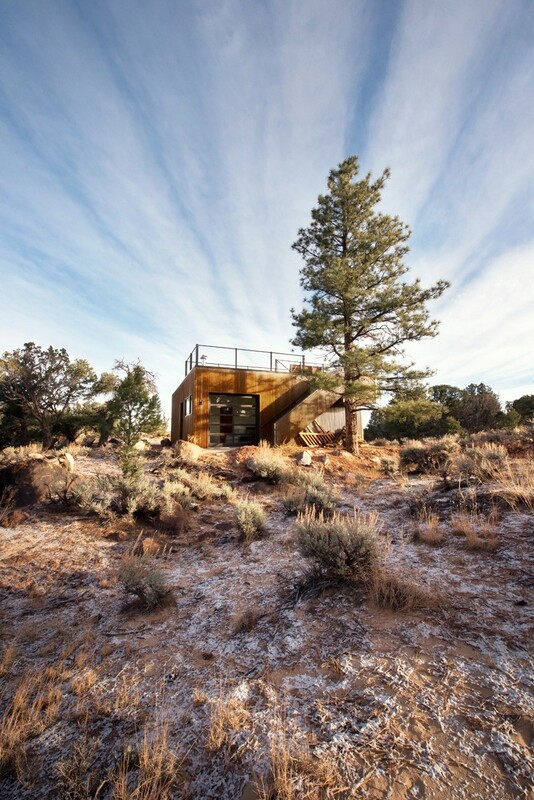 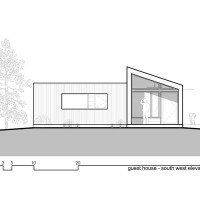 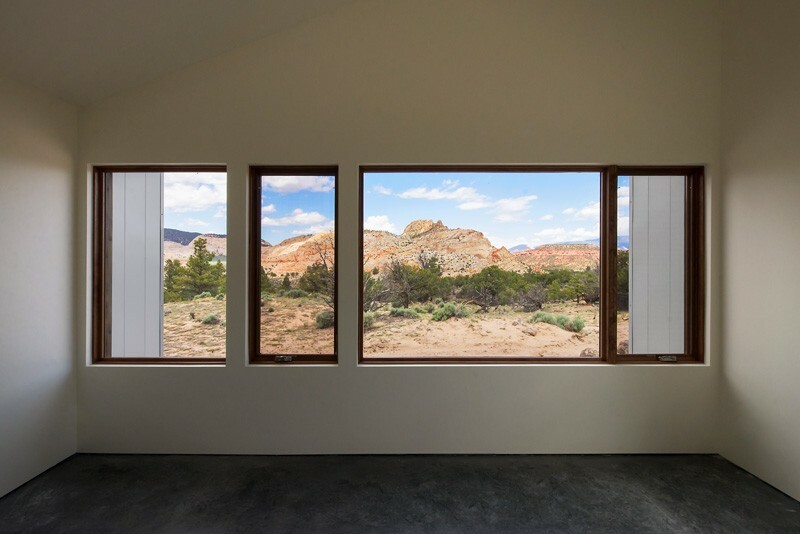 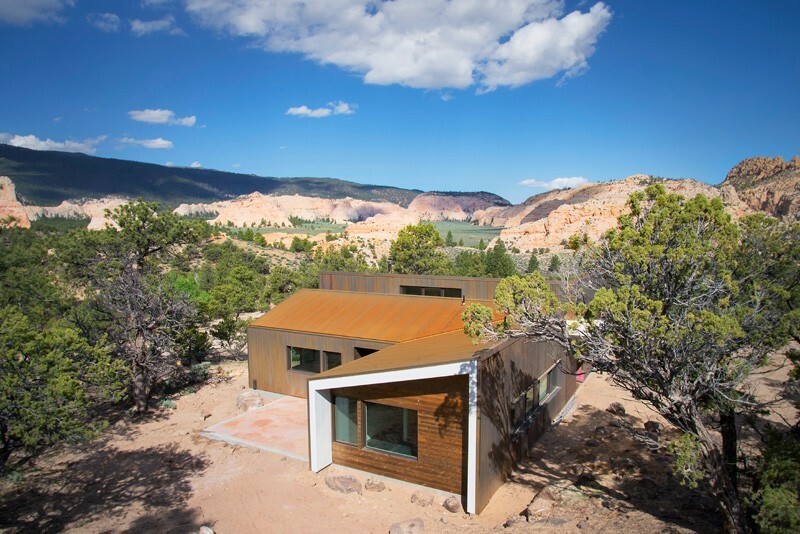 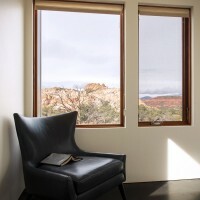 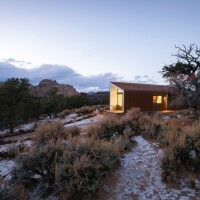 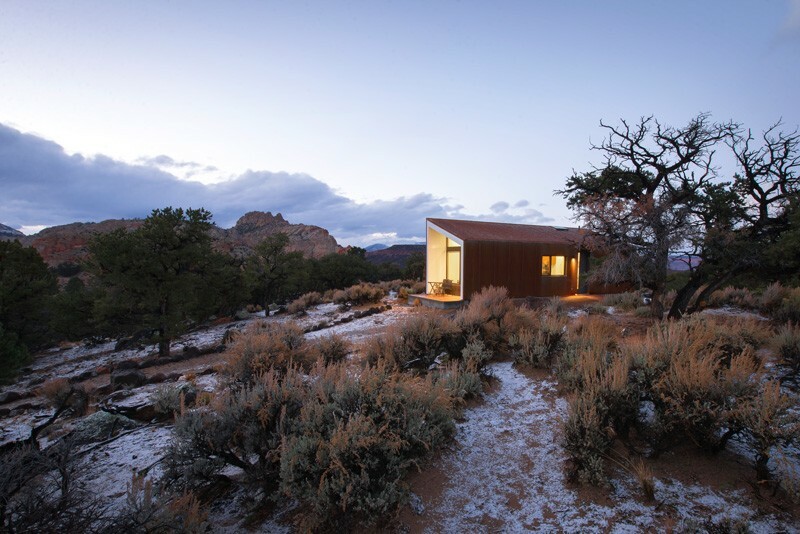 Imbue Design was asked by their clients to design a mini campus, with three separate buildings, on a remote piece of land in the desert in Capitol Reef, Utah. 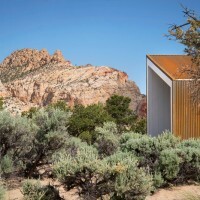 Tucked away in a remote desert location just outside of the U.S. Capitol Reef National Park is a plot of land with some of the most impressive rock formations in the world. 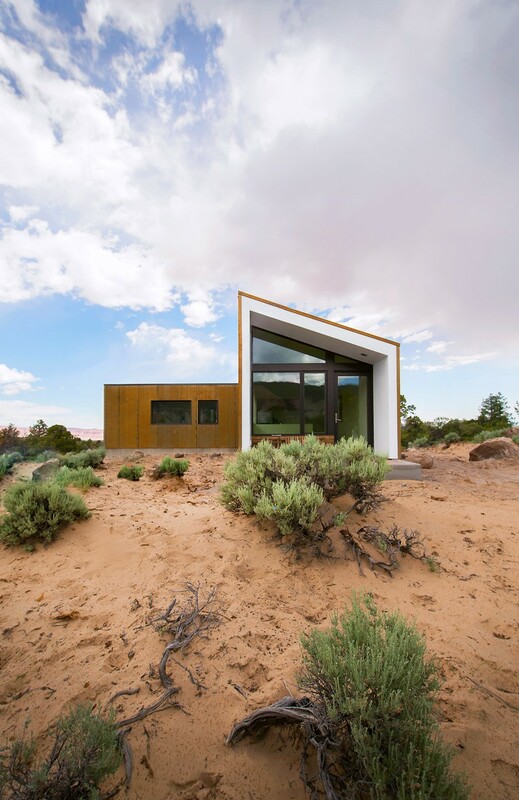 The owners of the plot, two highly intelligent professionals with minimal design sensibilities and sharp wit, came to Imbue Design requesting the design of a small campus of structures to occupy the desert landscape. 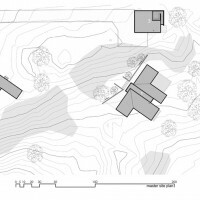 Their objectives were simple in principle though complex in execution: 1- design a main residence with guesthouse and studio outbuildings, 2- fill them with intimate nooks and gathering spaces, 3- immerse each space in the site’s unparalleled views accenting the two most prominent rock formations, 4- maintain the existing vegetation, 5- construct the retreat on a considerably modest budget. 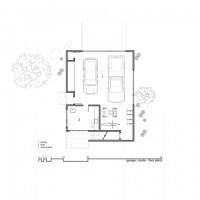 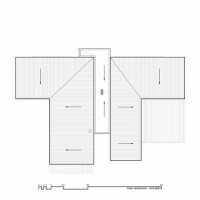 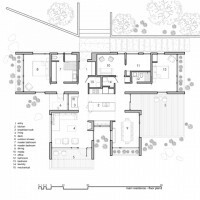 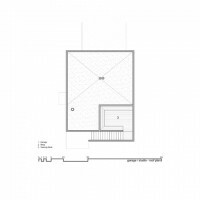 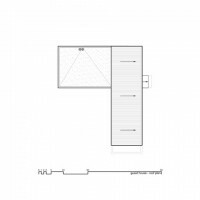 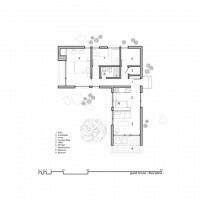 The solution came by way of multiple shed roof forms extruded along ‘L’ shaped paths. 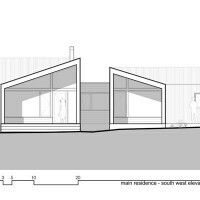 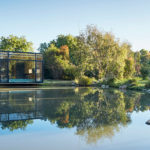 The volumes ends are open in expansive glass walls to highlight views of the specified formations, while horizontal windows along the lengths of the volumes frame panoramic views of everything between. 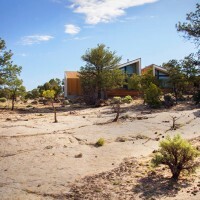 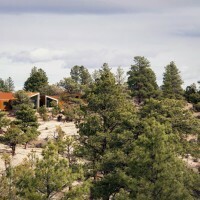 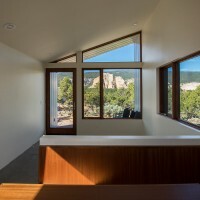 Reflecting the red rock megaliths that protrude out of the horizontal landscape, the sharp lines of the house rise above a shroud of vegetation to stand in contrast to ancient, twisted juniper trees. 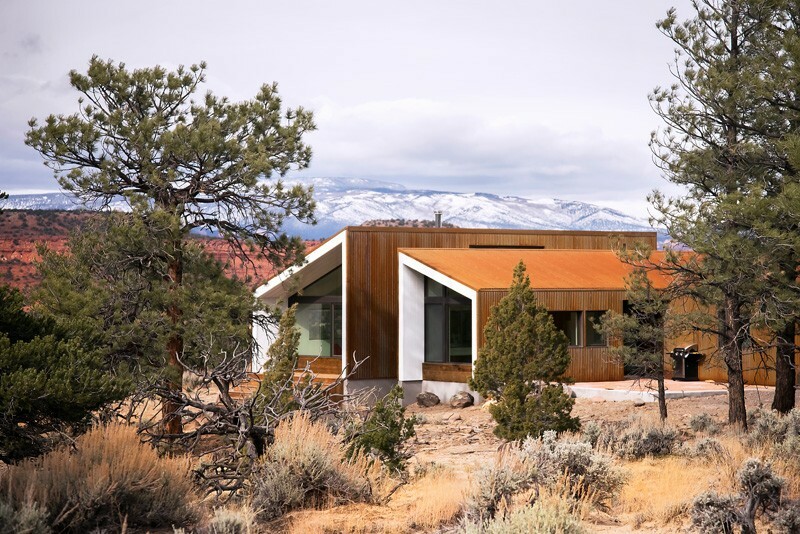 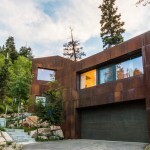 Like the native rock and trees, corrugated Corten panels and cedar siding naturally age to a self-protective patina baked on by the arid heat and desert sun. 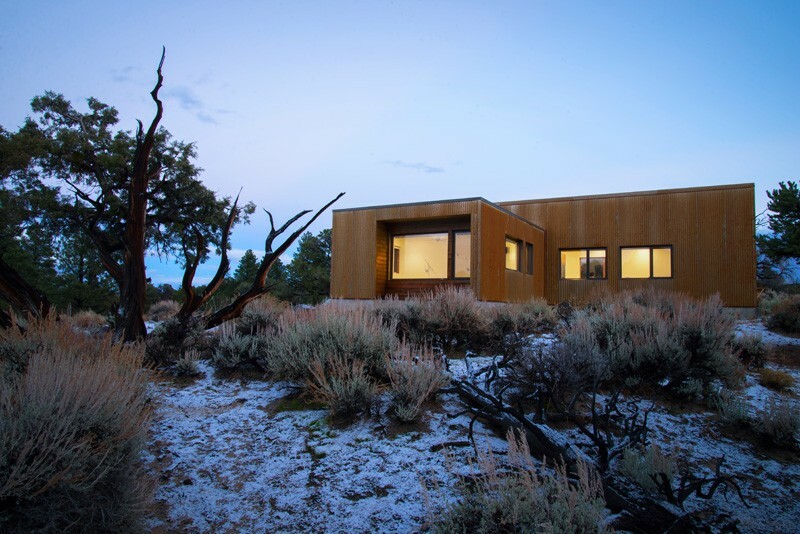 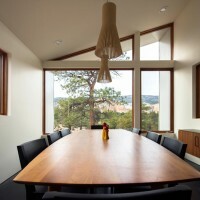 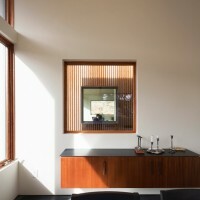 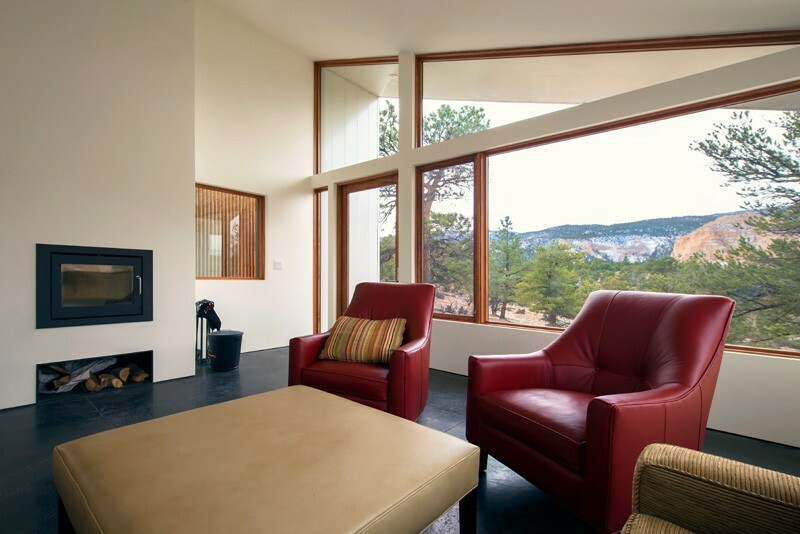 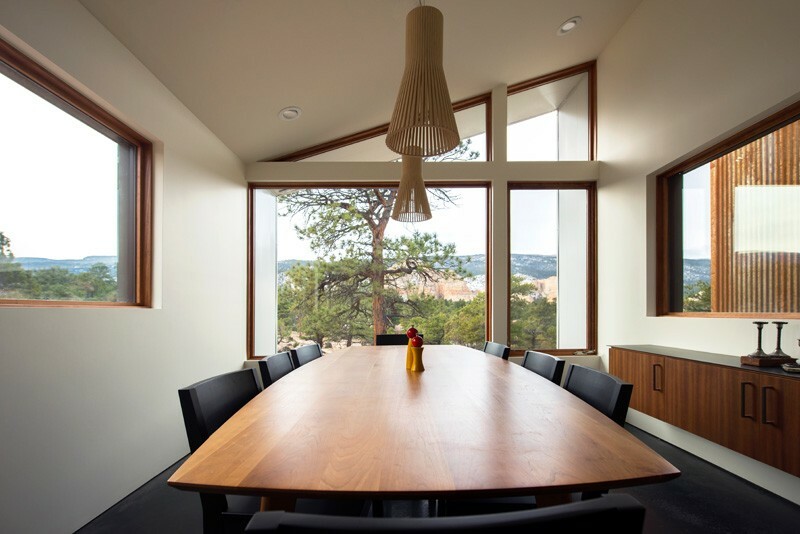 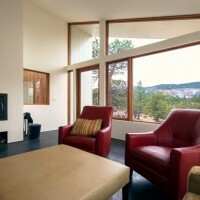 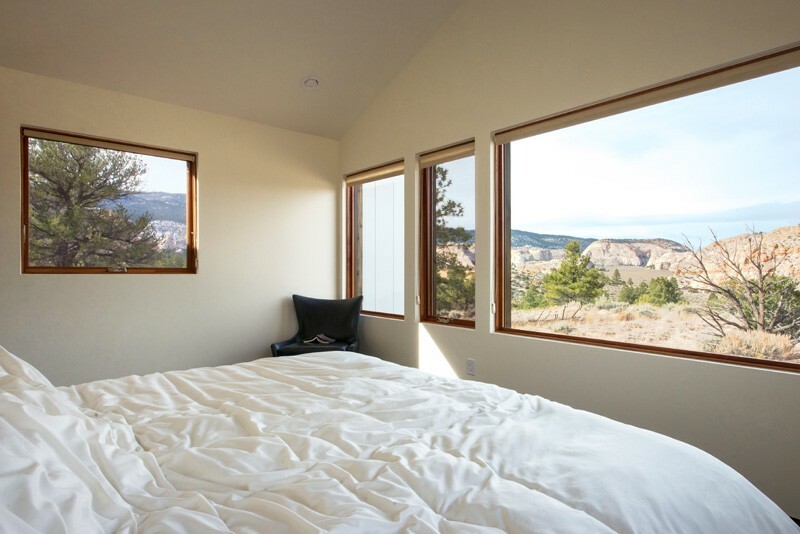 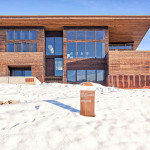 Given its remoteness, the home was crafted by local contractors and artisans using local materials where possible.